How much does it cost to build a home in Asheville? We are often asked how much it costs to build a home in Asheville? 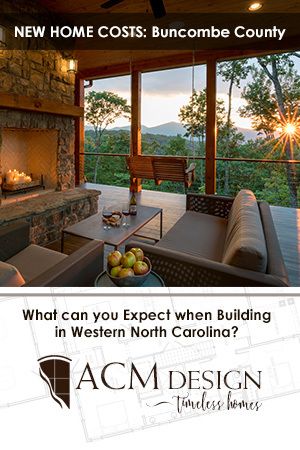 There is no concrete answer to this question, but we have created this guide which is designed specifically for the Buncombe County area of Western North Carolina, and it focuses on outlining the costs you can expect when building a new custom home in our area. Data was compiled from previous year home sales and include valuable information for what you can expect to pay when building a new home in Asheville and other areas of Buncombe County.